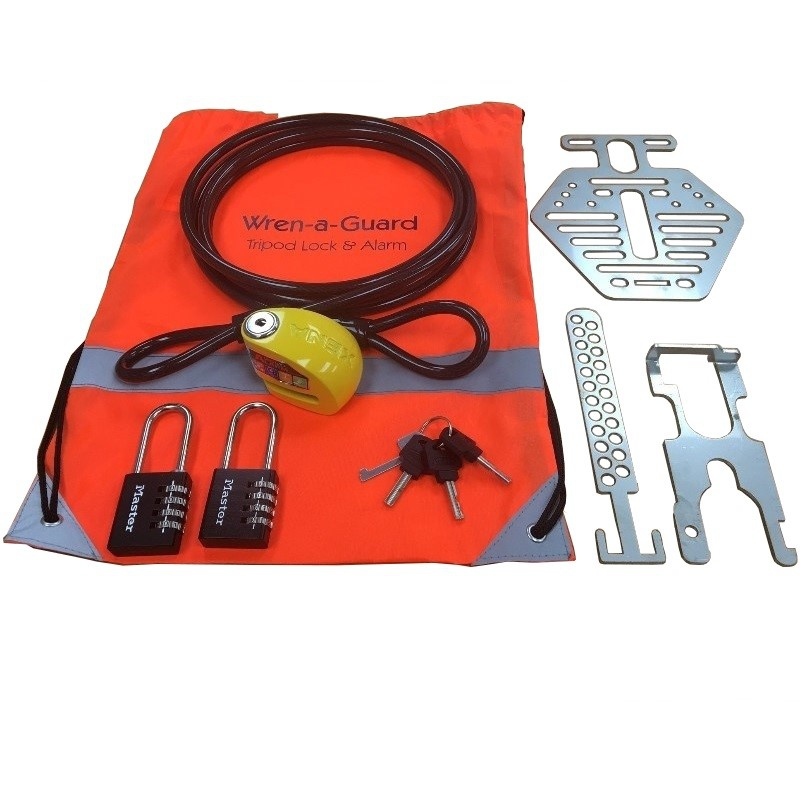 We currently hold stock of the Wren A Guard tripod lock and alarm system. Wren-a-Guard protects expensive Total Stations, GPS Antennas and other tripod mounted instruments from the growing risk of theft. A significant number of Total Stations are stolen every year and not recovered. The majority are stolen whilst in use on busy streets. The Wren-a-guard protects against opportunist theft and acts as a visible deterrent. The Wren-a-Guard includes a 120db motion sensor alarm which alerts the surveyor to any disruption or movement of the tripod. • Stops tripod legs being folded and loaded into a car or van. • Combination padlocks secures instrument to tripod. • Instrument is secured into tribrach with additional locking plate. • Easy and simple to fit. • No adaptations needed to tripods or equipment. • 120db motion sensitive Xena XX6 alarm. • 3m Lanyard to secure tripod to fixed objects or instrument box. • Includes 3 centre pieces for easy traversing. • Potential to reduce insurance premiums. Copyright © 2019 Caddbro. All Rights Reserved.